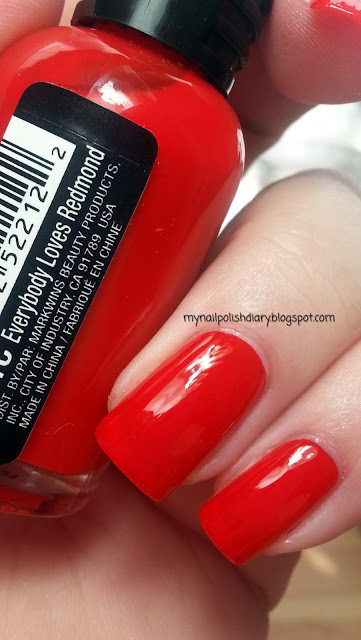 Wet N Wild Everybody Loves Redmond is a classic true creamy red that's almost a jelly. Boy do I love this shade of red. It's totally in your face bold and crisp and then the jelly like finish makes is just gorgeous. I mean wow. Did I mention I love this?